About a third of Kansas City's housing units are rental, and some groups want to do more to scrutinize health and safety conditions. The recent refusal of a Kansas City Council committee to move forward with a plan to focus on health and safety concerns in rental housing may not be the last word on the contentious matter. Advocates for tenants and low-income Kansas Citians are drawing up a strategy to collect signatures for an initiative petition that, if successful, would compel the city council to put the question of a rental inspection fee to voters. Should they succeed, Kansas City could end up with a tougher and more expensive rental inspection program than the one the council’s Housing Committee rejected last month. A third of the city’s housing units are rental. While most of them are safe and well-managed, city staffers and community-based groups receive a steady stream of complaints about lead paint, mold, rodents, leaks, unsecured windows and other dangerous conditions. But options for helping tenants are limited. A number of cities, including Kansas City, Kansas, Independence and St. Louis, operate rental inspection programs funded by fees from landlords. But an attempt by city health officials and Councilman Scott Wagner to start up a program here ran into a wall last month. Members of the council’s Housing Committee worried that the proposal would cost too much, would be difficult to enforce and might detract from a broader solution to Kansas City’s shortage of low-income housing. 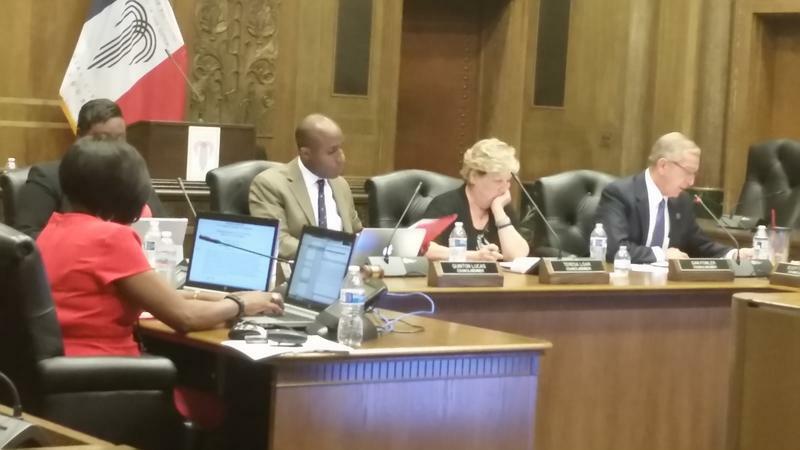 They voted to hold Wagner’s proposal indefinitely. The chilly reception didn’t sit well with advocates for low-income tenants, who watched the committee conduct two lengthy meetings on the issue. Hernandez was one of a group that gathered last week at the downtown offices of the Mid-America Regional Council to talk about moving forward with a rental inspection program. The meeting was a regularly scheduled session of the Regional Equity Network, which examines policies and planning decisions from a social fairness perspective. It included representatives from MORE2, Westside Housing Organization, Ivanhoe Neighborhood Association and Communities Creating Opportunity. Also in attendance was Wagner, who represents the 1st council district at-large. He said he remained committed to helping the city gain leverage to improve conditions in rental housing. The group postponed a final decision on an initiative petition drive until mid October, but planning for such an effort is already underway. Among other steps, Michael Duffy, managing attorney for Legal Aid of Western Missouri, is working on petition language. That language could look different from the measure the city council considered. Wagner’s ordinance was the product of months of negotiations with landlord groups. It would have asked voters to assess from landlords an annual $25 fee for each rental property, with higher reinspection fees levied if an inspector found problems in a unit. Inspections would have been prompted by complaints. Advocates are talking about proposing something stricter — perhaps a fee for each unit, rather than each property; or inspections at regular intervals even if no complaints are received. Under the city Charter, petition drives are linked to voter turnout at the most recent mayoral election. Because turnout was low in 2015, organizers would need only about 1,700 signatures to place a question on the ballot. The city council would have to authorize a measure for the April ballot in January. Lora McDonald, executive director of MORE2, told organizers that a petition drive would provide an opportunity to build relationships in the community to tackle other housing problems — such as a shortage of low-cost apartments and Jackson County’s high rate of evictions. Landlord groups, meanwhile, aren’t resting easy, either. A bill to preempt cities from passing laws requiring rental inspection fees moved in the Missouri legislature last year but wasn’t passed into law. It is likely to resurface when the General Assembly reconvenes in January. Barbara Shelly is a freelance contributor for KCUR 89.3. You can reach her at bshellykc@gmail.com. 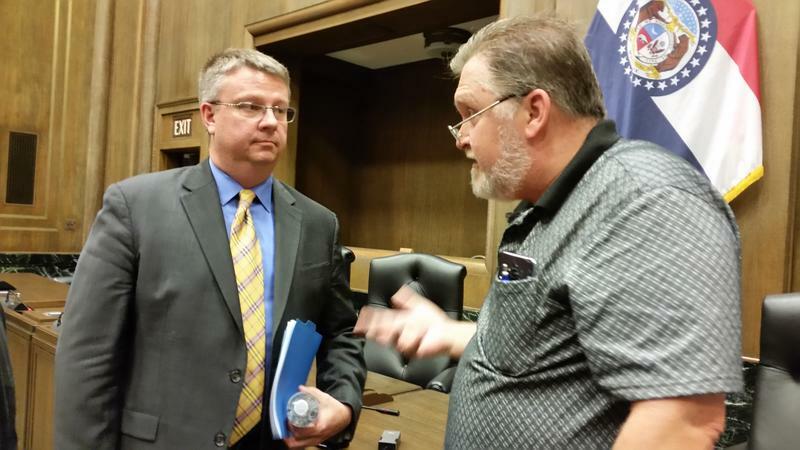 Kansas City Councilman Scott Wagner’s drive to get a controversial housing measure before voters this year fell short on Thursday. Members of the city council’s Housing Committee put Wagner’s ordinance seeking an inspection fee for rental units on hold, meaning the city will not meet a deadline to put a question on the November ballot. Complaints from Kansas Citians about rotting floors, broken fixtures and black mold in rental units often make their way to City Hall. But short of condemning an entire building or advising renters on do-it-yourself remedies, officials currently can’t do much to help. Prompted by health officials and some neighborhood groups, Councilman Scott Wagner wants to give the city some better tools — and he wants to do it sooner rather than later. Apartment construction in metropolitan Kansas City is hitting levels not seen since before the Great Recession with more than 5,000 units expected to be completed by the end of this year. 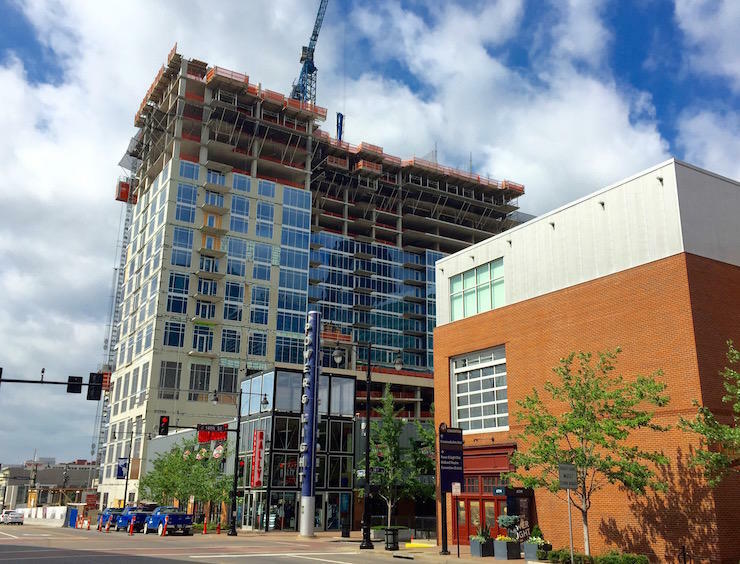 Many of those projects are going up in downtown Kansas City and similar places such as old Overland Park, where developers say renters both young and old covet a walkable environment.